While Paris has long been the idyllic destination for lovers, it is the Pont des Arts pedestrian bridge over the Seine River that has recently become the place to symbolically leave your heart in the city of romance. During a recent trip to Paris, my husband and I discovered 'love locks' on the Pont Des Arts Bridge. 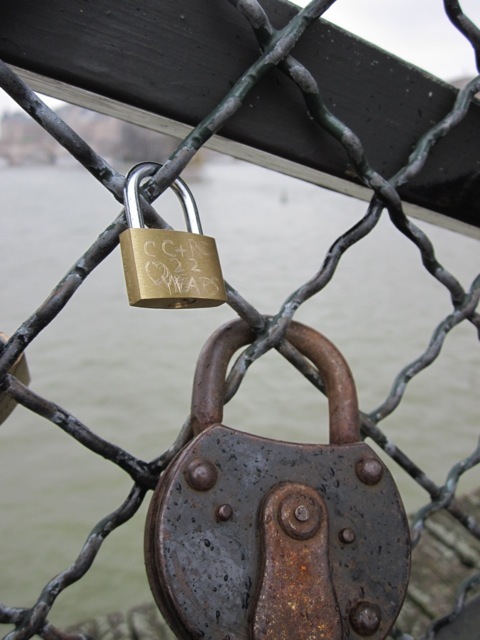 Hundreds of padlocks in various shapes, etched with dates and couples' initials, have been affixed to the railings of the wooden slatted bridge. For the past few years couples have been attaching engraved padlocks to the bridge and throwing the keys into the Seine as a sign of never-ending love. 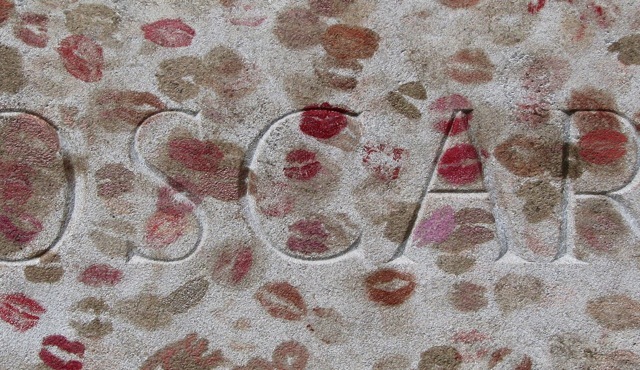 The innocuous act reminds me of the lipstick kisses on Oscar Wilde's memorial in Père Lachaise Cemetery. And, just as the lipstick kisses have sparked heated debate over whether those marks of affection are vandalizing graffiti or visual depictions of adoration, the locks are causing much controversy. Since the trend took off almost three years ago, thousands of padlocks have been locked to the bridge. Early last year a municipal source announced that the locks were becoming an eyesore on one of Paris' most picturesque monuments. He further added that the practice "posed the question of preserving heritage, and that in time the padlocks would have to be removed". 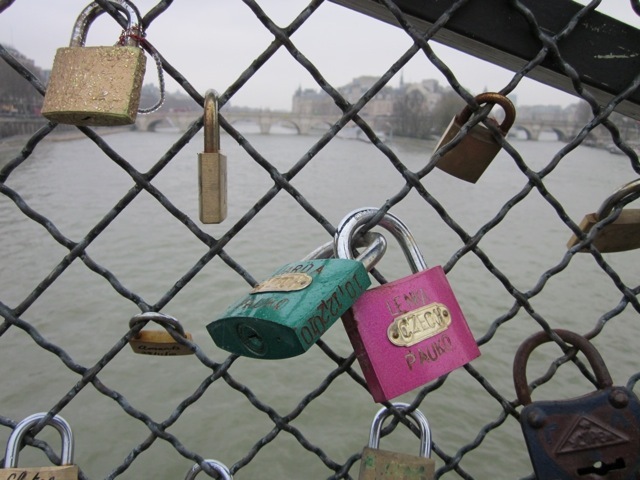 In May 2010 all but a handful of the padlocks vanished overnight from the bridge. All eyes turned to the Mayor's office, but the charge was denied. Some suggested the locks were removed during the night to avoid negative publicity, other speculated that it was the work of scrap metal thieves. But as soon as they were removed, shiny new locks started to reappear. Others suggest that it originated in China where padlocks cover every metal pole and fence of Mount Huang. It is the custom for couples to 'lock their souls together' and throw the key into the valleys of mist. However, breaking up is a little more difficult. The only way to release your souls is to find the key and unlock your padlock. And while the padlock craze has enraptured countless lovers in several countries around the world, it is a topic that divides the public. Some see the locks as sheer acts of vandalism, while others believe that it captures a perfect moment in time. Indeed, even if the sentiment one day fades or the locks disappear once again, the public act of affection adds one more layer of mystique and romantic to an already magical city.